How many times have you been stressed this week, let alone this semester? Almost all college students will have that moment where they feel like their world is crumbling and they can’t do anything to stop it. This could be caused by having multiple exams on one day, forgetting about an assignment, or not knowing what to write your eight-page research paper about. I have three test on Monday so of course I am feeling stressed now, but that got me wondering how stress is going to affect me and my grades. Stress can be a very detrimental feeling to a person, especially a college student. It can keep them up at night worry, make them lose their appetite, and not sleep. These factors make me believe that stress can affect a student’s grade and overall GPA. There was a study done by the University of Minnesota where they looked at close to 10,000 students over 14 different schools and monitored their stress, amount they drank, and smoked. After they collected their data, they separated the students who were just stressed compared to other students who were stressed and drank or smoked. About 70% of the surveyed students reported to being stressed during the school year, and close to half of them said that stress was affecting their academics. Out of all the students, students who were stressed out more than eight times in a semester seems to do significantly worse than students who were not stressed or as stressed as them. The students who became stressed ended up having a 2.72 average GPA compared to the non-stressed students who averaged a 3.3 GPA. That is a .6 difference, and as we all know in school, that is a huge amount. There was another study done where a lecturer from the School of Education followed five students throughout a school year to see how they acted in school. What she found ou t was that students become stressed due to grades, parents, or another variable and that leads them to cheat. They do not care about the topic they are learning as much as the grade they will receive. This study was done in high school where the consequence of cheating is not as harsh as college. Never the less, this study showed that when people are stressed they tend to cheat and college is somewhere that everyone becomes stressed at one point. Cheating in college can lead to major consequences and even expulsion. My last thought on how stress affects us is how it affects our brain. Stress is about as common as anger, but for some reason stress seems to have more of an emotional and physical strain on us. According to the Harvard Medical School, the main part of our brain of our brain that deals with emotions, the amygdala sends a signal to the part of the brain that communicates with our body, the hypothalamus. Once the hypothalamus is contacted it starts to send adrenaline through our body. This makes our lungs open up more so our brain can get as much air as you need, which is why you might breathe more heavily when you are stressed. The adrenaline also makes your heart beat faster; which could be why you feel like your chest is about to explode when you are stressed. These are all good things for when you are in a situation that needs you to take action quickly, but when it comes to school…. it doesn’t help as much. Our body sees stress as something more of a fight or flight situation, which doesn’t really help when you are overwhelmed with schoolwork. By relieving your stress as soon as you start to get it makes your body relaxed more and gets it back into its normal state. Once you are back to normal, you will be able to accomplish your work more efficiently than when your body is flowing with adrenaline. Stress is a very harmful thing and has been found to damage students and their grades. There are various ways to overcome stress so that you can do well in school, and even avoid cheating. This website shows different ways on how to get rid or lessen your stress. This entry was posted in Uncategorized on October 19, 2016 by Jarrod T Skole. I really liked this post because it super relatable. I am going to offer some anecdotal evidence, as I actually feel that stress helps me as a student. Ever since I have been younger, I noticed that schoolwork was a stressful trigger for me. No matter how long deadline was, or the difficulty of the work I have always been overwhelmed with stress when I have to complete an assignment, or take a test. That being said, the stress acts for a catalyst for me to work harder, and strive for the best grade possible. As a consequence, I usually perform very well as a student. In addition, when I feel overly stress I tend to workout more, so stress also benefits me in that aspect of my life as well. I am not saying that this holds true for every individual, but I wonder if there is a link between stress, and overall motivation. This is an interesting post. I’ve always been a stressed out person who worries about even the smallest matters. However, I find that I work seemingly well under pressure. I’ve been acting, singing and dancing on the stage for as long as I can remember. I’ve found that some of my best performances are those in front of a live audience. Though I’m extremely nervous, I’m motivated to make my time on stage some of my best work. Here is an article that discusses some ways to help you perform better under stressful conditions! I totally agree with your feeling. Especially during the midterm week, the feeling of stress comes strongly. Even though there are some good things about stress like encouraging you to work harder, it is a bad situation when there are too much stress. I have searched several videos about how to release stress. And I find this one most helpful. 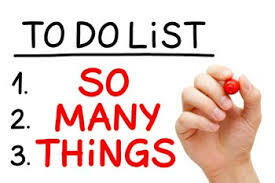 https://www.youtube.com/watch?v=fAjdI7J4Gvo I think the best way to solve the problem is to arrange your time wisely or list things on a list which can help you organize things rationally. Jarrod, I do believe that stress can effect someone’s academic performance. If a full-time college student told me that they have never experienced stress at any point of their college career, I wouldn’t hesitate to call B.S. Everybody experiences stress one way or another. Whether it’s grad school or landing a big job, many students have high aspirations for life after their undergrad years. Therefore, there is a great amount of pressure on students to perform. I believe that it is all about how you harness your stress and use other things to help you overcome it. For example, some students like to workout throughout the semester cause it not only fulfills their personal goals, but also helps release some built tension. I found this article by LIVESTRONG on the causes of stress for college students. I thought this blog was very interesting and relatable! The science aligns with personal experience of how stress can generate negative results on your mental outlook and performance. When I am stressed or anxious, I always result to exercise. According to this article (https://www.adaa.org/understanding-anxiety/related-illnesses/other-related-conditions/stress/physical-activity-reduces-st) there is strong evidence that shows physical activity reduces stress. They reported that 14% of people use regular exercise to cope with stress. Also, the article mentions that it’s not only the direct chemical reaction of pleasure endorphins being released in the brain, but also the more indirect benefits of exercise. For instance, physical activity has the ability to help a person sleep better, which would in turn lower their stress levels. I think this is an interesting topic because I’ve seen in my own life and from the people around me that stress doesn’t always indicate negative performance. I am personally the queen of stress when it comes to schoolwork, but I still do well in school. I’ve also found that a lot of my friends that score highly in school stress out a lot more than other people when it comes to studying and doing work. Of course, this is all anecdotal evidence, but I wonder if, despite this evidence, there is a link between high performing students and high levels of stress. I think a possible mechanism that would explain that link would be that students who are motivated enough to get good grades are stressed when they feel they won’t be able to meet that goal. I can completely relate to this article. I have come to realize that I am an extremely stressful person in general, so college isn’t helping that at all. The first study’s data that you found really jumped at me. A 0.6 GPA difference is shocking. This really made me think about the things that I should be doing in order to be less stressed out. I find that procrastination and time management are the two areas where I typically struggle. I tell myself that I need to do something about being stressed and keep pushing it off until my stress level is twice the amount it was before. I know it is all completely psychological, so there are ways to possibly fix it. (maybe managing my time better) Like you said in your blog, stress affects our bodies in ways we don’t even realize. You stated how when we are stressed out, our heart rate increases making us feel like our chest is going to explode. This article from Healthline talks about some other side effects that stress has on the body. Isn’t it so interesting? Why do we get so stressed out? What I really find insane is how people, instead of stressing (freaking out, crying, emotional eating, and all the above) and wasting so much time, could just stop worrying and just do it. Say it like Nike, and just do it! That got me to thinking, why do we stress so much? I found an article on whether we are dependent on stress. You probably think that’s crazy, but actually lets think about it. You have a 3 page paper due in 1 hour. You sure as hell are going to be motivated to get that paper done. I always preach about this, The less time you have, the more motivated you are going to be to get the task done! In this article, Lisa Evans talks about how when we are really stressed, our brain get a whole rush of endorphin. You need it to grow. We need to use this to our advantage! If something is due in a week, you wont be as motivated as if you did it the day before. You could still probably do it a week before, but you wouldn’t do it that fast and efficiently. I completely agree that stress is not good for an individuals academic performance. However one aspect of this article that caused me to question the situation was the study (http://www.healthnews.com/en/news/How-Stress-Affects-Academic-Performance/2wJiMoIl1ErOCym8JC9lWD/) conducted by the University of Minnesota. The study revealed a correlation between stress and poor academic performance. Despite these findings I think it could be argued that this doesn’t prove that increased stress leads to a decrease in GPA. Instead it could be reverse causation, where students who underperform academically typically have more stress. If that was the case, it would be the grades causing the stress not the stress causing the bad grades. It could also be argued that a third variable causes students to be both stressed and have lower GPAs. This variable could be something such as extracurricular activities, family life, social life or mental issues. While I agree that stress can damage a persons academic ability, I believe it is entirely possible that it does not play as big of a factor as this article suggests. I think stress plays a part on everyones life but especially college student’s. Aside from papers and exams, we also have to start figuring out what we want to do with our life. I could definitely see stress playing a part on someone’s GPA. Stress has an effect on your body so there is no doubt that it could also effect your studies. I found an article by the American Psychological Association that outlines the effects that stress has on your body. https://www.apa.org/helpcenter/stress.aspx . I agree with how you said that you can work better when you are stress free. My best work is done when I am not stressed or rushed but that is sometimes hard to do in college. It also makes it hard to focus on one assignment when you are worried about others. All in all, I feel that stress could have an impact on your GPA or studies in general. 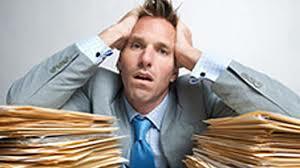 No one likes to be stressed out and it is harder to do your work while stressed. One thing we can all do is try to learn how to cope with stress so we can live life more efficiently.